LA QUINTA, Calif. Rory McIlroy has been voted PGA Tour player of the year after winning four times, including his second major championship. The tour does not release how its players voted on the award, though not even Tiger Woods came close to the kind of year McIlroy had on the PGA Tour this year. He won the Honda Classic, two FedEx Cup playoff events against some of the strongest fields and captured his second major when he won the PGA Championship by eight shots. CBSSports.com's Shane Bacon notes that Mcilroy nearly came away with even more tournament prizes. "McIlroy was a match play finals loss and a playoff loss away from possibly having three wins in his first five starts at huge events, and he still went on to win three more times including a major," Bacon writes. 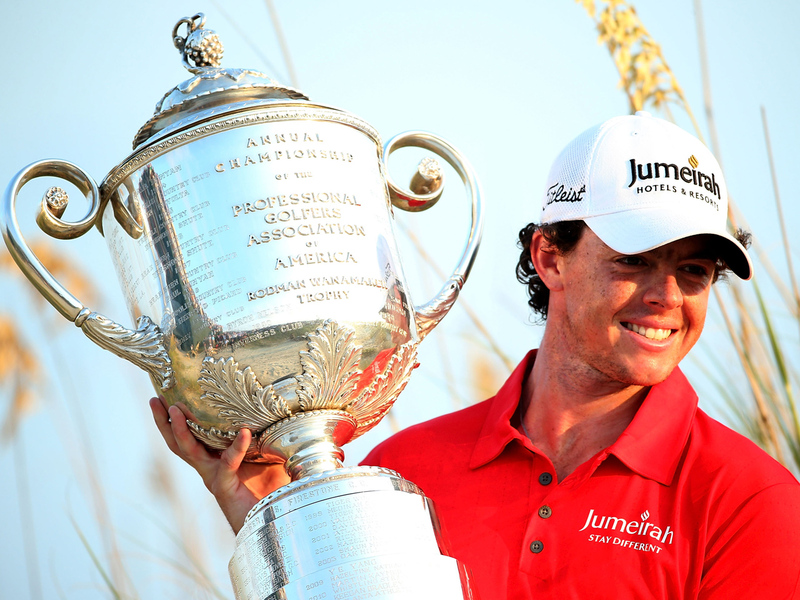 McIlroy also won the PGA Tour money title and the Vardon Trophy for the lowest scoring average. John Huh was voted rookie of the year. He won an opposite-field event in Mexico and was the only rookie to reach the Tour Championship.